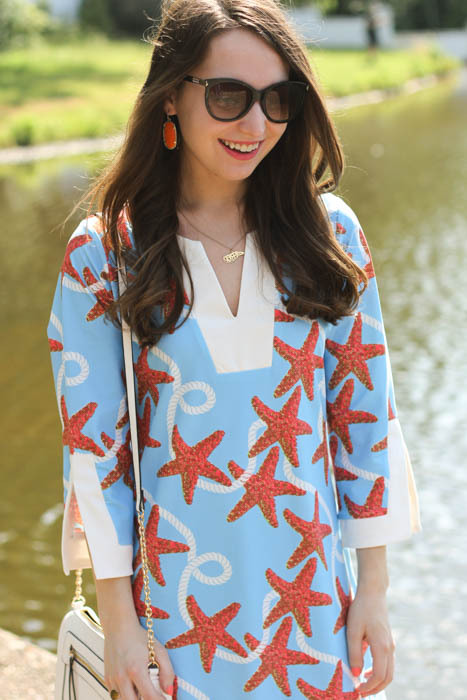 How fun is this tunic dress from All For Color? I can't wait to wear it on my family beach trip next month! 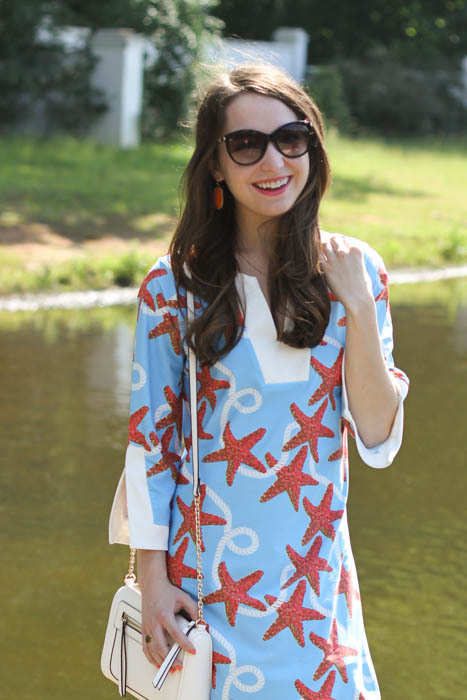 I love the colors and the cute nautical starfish print. I think I've mentioned this a few times before, but a soft and sort of loose dress is one of my favorite things to wear. In my opinion, nothing is more comfortable. You also don't have to match two pieces to make an outfit, and it still looks put together. However for fellow short girls, this one is a little long. I have mine hemmed a few inches, it was a bit of an awkward length falling right at the top of my knees, and I'm 5'2" for reference. It's available in 5 other fun prints, which I have linked below! Love this tunic dress! The colors and print are perfect for summer! This looks so cute on you, Cara! Not to mention it would be so cute for the Fourth of July! 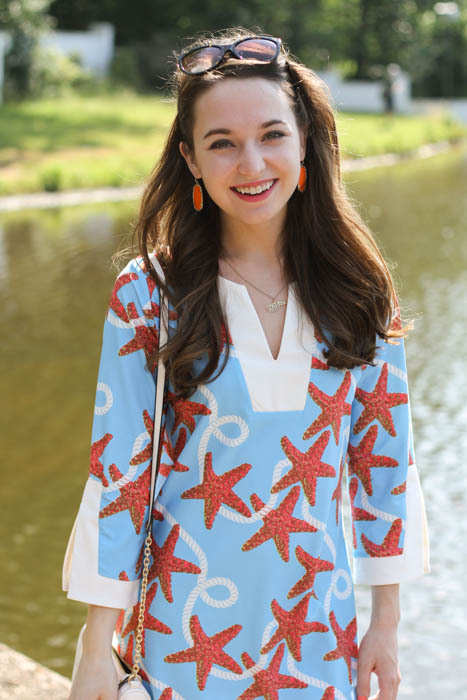 This tunic is so darn cute!! It's definitely the perfect dress for summertime! Love this dress so much! The print is perfection!